I am starting off a new mini-series of pictures, Arachnophobia. I sat down to make a picture involving a T-Rex, but the ideas kind of morphed while I was working. Spiders are fascinating. Looking at a spider is looking at a completely different form of life. It might as well be from another planet. 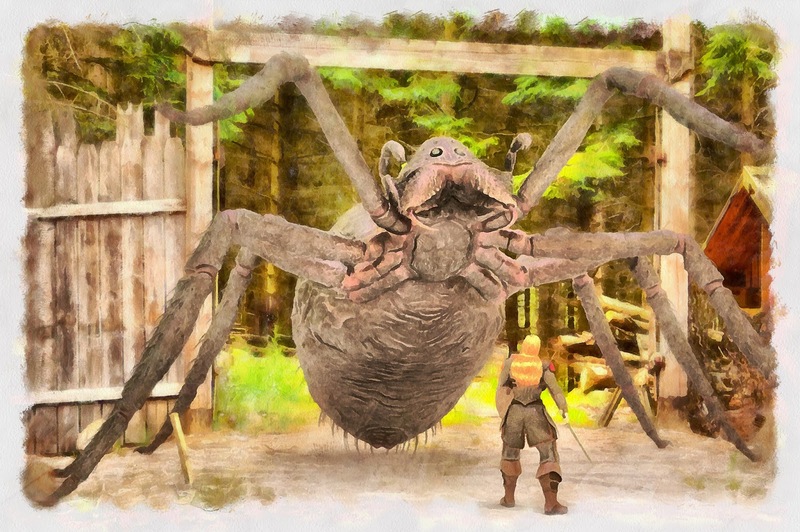 Giant arachnids have been popular in monster movies since Tarantula (1955). One of my favorites is Eight-Legged Freaks (2002). Tolkien created Shelob, and Peter Jackson put it on the silver screen in The Return of the King. 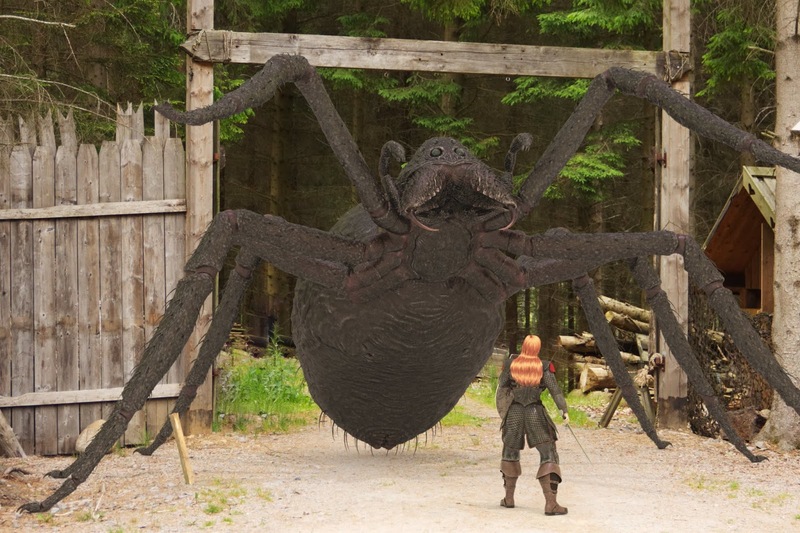 Another fairly recent giant spider is Aragog, in Harry Potter and the Chamber of Secrets. Obviously, giant spiders are a lot of fun, unless they eat you, of course. The setting for Arachnophobia I is Primus Vicus, a medieval village not far from Halmstad in Sweden. I'll vary the environments quite a bit in the series, but I plan to stick with the medieval Fantasy theme I began with. Here is the photo composite I constructed to have a base for the digital painting process. As the series progresses, I will test and use various ideas from the early 20th century pictorialist William Mortensen. Specifically, from his book The Command to Look (1937). More about that next time.